St. Petersburg. The station's area is part of the overall security perimeter. According to the requirements of FIFA, only fans can get to the territory. Governor of St. Petersburg Georgy Poltavchenko told about the schedule and features of the work of the new metro stations in an interview with news agencies. 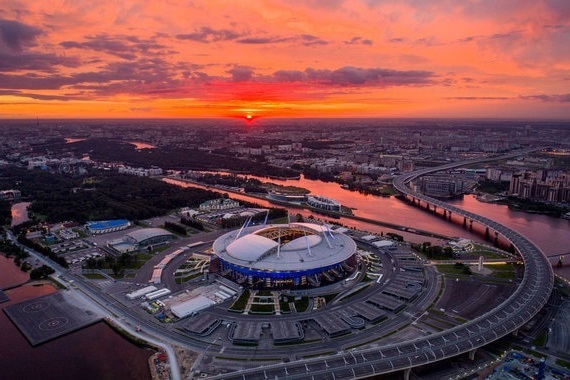 According to the head of the city, the Novokrestovskaya station is located next to the St. Petersburg Stadium, where the 2018 World Cup matches will take place. According to FIFA security requirements, the territory enters the general perimeter with the stadium, therefore only the fans will be able to get to the station. The governor also noted that Novokrestovskaya and Begovaya stations are in full readiness and will open already for the City Day.